Jonathan Veira returns with a sublime selection of well-known and re-imagined hymns including To God Be The Glory, Love Divine and O Love That Will Not Let Me Go. Beautiful, imaginative and adept arrangements provide an excellent canvas for Jonathan's distinctive voice, illuminating the majesty of an eternal God. A radiant and stirring release from one of the UK's favourite artists. 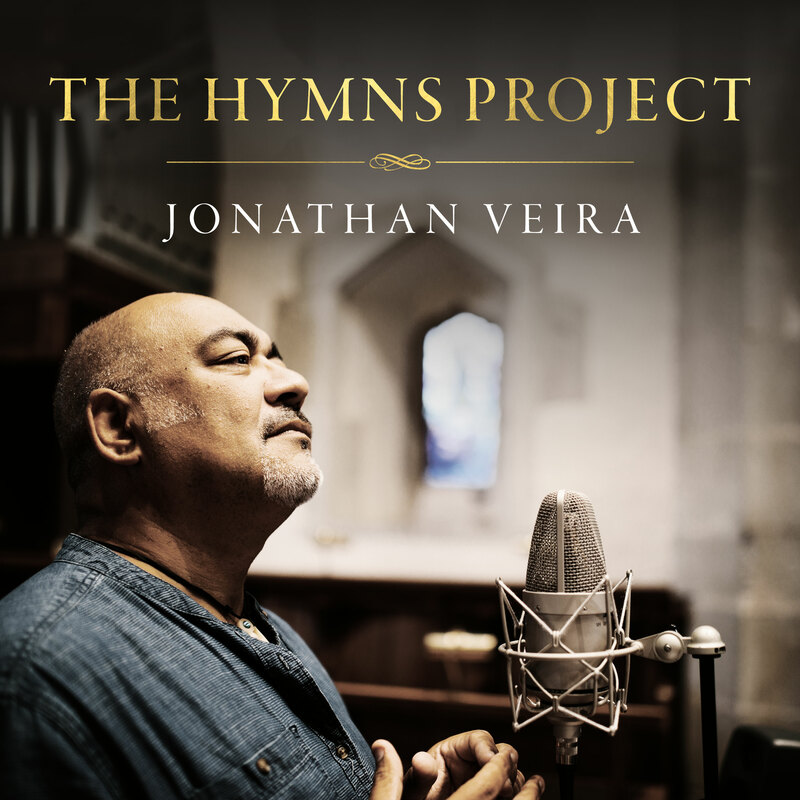 The Hymns Project (Jonathan Veira) by Jonathan Veira was published by Essential Christian in November 2017 and is our 3566th best seller. The ISBN for The Hymns Project (Jonathan Veira) is 5021776227731. When Cross Rhythms spoke to the veteran soloist, music teacher and occasional operatic performer about this album earlier this year, he was at pains to explain the vision behind the project. He said, "It is a revitalising of old tunes that some of us may know from our past (eg, 'All To Jesus', 'I Stand Amazed', 'I Will Sing The Wondrous Story') and the writing of new melodies to old lyrics (eg, 'To God Be The Glory', 'And Can It Be', 'Love Divine')." It works marvellously well and Jonathan's rich tones bring the poetry and eloquence of these hymnbook evergreens to life. Co-producer Mark Edwards brings in some delightful and, at times, unexpected accompaniments (a dobro here and an accordion there) while the choir, recorded at St Saviour's Church in Guildford, give just the right support to Jonathan's uplifting interpretations. There is the occasional relatively modern song like David J Evans' "Be Still" though in the main it's the glories of past masters like Wesley, Matheson and Gabriel which are given the Veira/Edwards treatment. And very stirring they are too. I have always loved the wonderful effortless voice of Jonathan Veira. In a CD this surpasses anything I could have wished for. I listen to it everyday and it touches me in a very spiritual way. So many of my favourite hymns, sung quite differently from familiar tunes we know from Church but taking nothing away and indeed enhancing the meaningful words. I absolutely love everything on this CD and would recommend it 100%. Well done Jonathan! Got a question? No problem! Just click here to ask us about The Hymns Project (Jonathan Veira). A:Currently, there are no songbooks for this album. Thank you for using the Q&A Forum. Now Playing: To God be the Glory Your browser does not support the audio element.